IT"S A MEN !!!! FANTASTIC!!! "My name is Tal Baruch Rozen and I live on Kibbutz Ein Dor in Israel". "I have been creating jewelry for the past 7 years". "My vision is for everyone to be able to enjoy my jewelry. Therefore I make the highest quality pieces yet still keep the prices as fair as they can be. Each piece of jewelry is made with love, care and lots of attention". "The inspiration for my jewelry comes from my surroundings: nature, people, thoughts, words and more". What a fun way to open it the week! 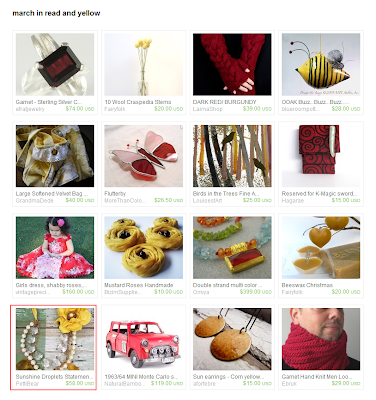 Added color and beauty to my treasury! Again, thanks for the great exposure and have a great week!